One national accountancy network has reminded professionals the ATO is obtaining more than 100,000 insurance policies in an effort to identify non-compliance with reporting obligations, saying there is “very little chance” offenders won’t be caught. 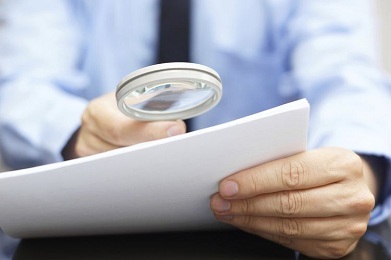 The ATO's program aimed at identifying assets that it believes have not been properly accounted for or taxed is now in full swing, said Daryl Jones, HLB Mann Judd Brisbane's senior tax consultant. The tax office will be utilising data from a number of insurance companies to assess and identify the owners of these assets, allowing it to formulate an opinion on taxpayers who have reported very little taxable income in their personal tax returns but who have accumulated significant assets such as marine vessels, aircraft, thoroughbred horses and enthusiast motor vehicles. The ATO will match the details on the insurance policy with the information it already holds on the taxpayer to identify non-compliance with registration, lodgement, reporting and payment obligations. Those who are not complying with their reporting obligations have a "significant" chance of being identified, said Mr Jones, with the ATO's data-matching capabilities and connections with institutions and other government bodies now at their most advanced. Mr Jones explained the data collected will be used by the ATO to better understand the assets and wealth of particular taxpayers, and allow it to identify possible compliance issues with income tax, capital gains tax, fringe benefits tax, GST and superannuation. "Where there appears to be a discrepancy, the ATO will contact taxpayers and give them the opportunity to verify the accuracy of the information prior to amending any income tax return," Mr Jones said. "It is therefore a good idea to revisit the insurance policy of any lifestyle assets owned to ensure that all the details are correct and information is correctly reported on financial statements and income tax returns."